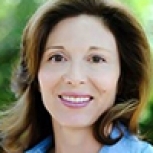 Joan Weisman has been a Real Estate Broker in Los Angeles since 1999. A fourth generation Californian, Joan has a gentle approach with buyers and sellers, focusing on facilitating her clients success through communication. Also a skilled negotiator, Joan fights for her clients interests striving for the win-win solution to any problem. A clear step by step process to sell your house online. Access resources to help you sell quickly for the best price.